In this days while preparing what to bring in my walkabout, the selection process naturally creates a list of things that are denied access to the backpack. 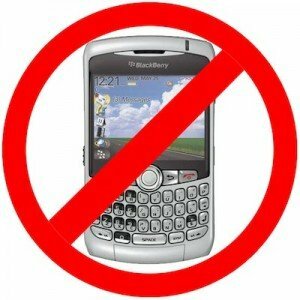 Here are the 2 things I will NOT bring with me: notebook and BlackBerry. Incidentally, they are the 2 objects I use most of the time in my daily life! It was an easy decision: this experience has to be done unplugging myself from technology and devices that are distracting me from paying attention to what’s really important around me: nature, people, situations. In one word, awareness. As I’ve spent most of my time at the PC (including now) in the last 12 years, and I’m using the BlackBerry constantly when I’m travelling for work. Yes, because if the decision was easy, I’ve no idea how I’ll cope with the consequences on the way. Maybe I’ll discover a new dimension of freedom, maybe I’ll find a nightmare. I welcome both situations, because anyway I’ll discover something about me. I have been thinking about not bringing the notebook since the beginning of the planning, replacing it with a limited access to internet points. Yes, I say limited because I know that the Internet points in Latin America are many and are cheap. But last thing I want to do is waste time in front of a PC. Let’s clarify: I’m not against using a PC during the trip, I’m against waste my time in front of it! That’s exactly what I do most of the time here. I can spend hours in front of the monitor wandering around multiple websites with no clear goal and with no action at all. This is what I don’t want to do there. Not in front of a PC. I can better stay doing nothing in a square, on a bus or in a bar. Choosing to leave home the BlackBerry took a little bit longer. But when I realized how dependent I am from this device, I horrified. Reading this article inspired me to definitely decide to go unplug. Do you ever unplug yourself from technology? How does it feel?